The Employment Guide® (http://www.employmentguide.com/) has announced the re-launch of its health care Web site, HealthCareerWeb (www.HealthCareerWeb.com). Redesigned and re-engineered to make searching for health care jobs fast and easy, the new HealthCareerWeb is the first recruitment destination designed exclusively for the health care industry to offer social networking. "HealthCareerWeb offers more than the opportunity for recruiters to attract job seekers; it's the first free recruitment social networking Web site designed exclusively for its members to seek and share information pertaining to the health care industry," said Denise Tanner, business development manager of HealthCareerWeb. The MedCom area of the site is a medical community where visitors can connect with one another to gain knowledge about the industry. 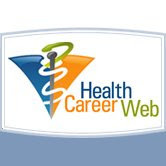 HealthCareerWeb Forums offer an informal place where job seekers can post questions and articles about careers in health care. Another section includes medical videos that give an insider's look at what it's like to work in various medical professions. The site also includes a calendar of medical events, which can be sorted by state. Jeff Littlejohn, Vice President/General Manager of The Employment Guide, commented, "Our newest product is specifically designed to meet the needs of both job seekers and recruiters in the growing healthcare industry. We have incorporated the benefits of a social networking environment to further enhance the user experience while increasing awareness among health care professionals about professional communities and events." For more information, contact Employment Guide's Pittsburgh office at 412-257-7801. HealthCareerWeb, a division of The Employment Guide, offers a powerful platform for advertising niche jobs in the health care industry. This targeted site offers job seekers more than just job opportunities. Free member resources include resume posting, social networking, localized event listings, health care forum, and an industry-specific video center. Dominion Enterprises, Norfolk, Va., is a leading marketing services company serving employment, automotive, real estate, marine,recreation and industrial markets. The company has more than 500 magazine titles, over 40 market-leading Web sites, and operates a variety of Web and technology businesses. The company has annualized revenue of more than $946 million and has more than 6,000 employees nationwide. For more information, visit http://www.dominionenterprises.com/.